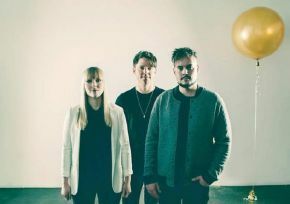 Canadian band Port Cities are still bathing in the afterglow of November's Nova Scotia Music Week, where they scooped no less than five awards, including album of the year, digital artist of the year and entertainer of the year. Port Cities’ music is a perfect balance of Nashville (where much of it was recorded) and Nova Scotia (where the band reside); of the rustic and atmospheric, of indie intimacy and the sort of arena-pop anthems that betray Port Cities’ globe-trotting ambitions; 2018 sees the band embark upon their second cross European tour, including a timely stint here in the UK, where their following is building up nicely off the back of 2017's visit, and the hugely successful #PostcardsFromPortCities series of videos. The first thing anyone observes when hearing Port Cities is that this band is tight. Seriously tight. Yet it begs the question; How to go about fusing divergent styles and experiences into such a singular rootsy Americana sound? From MacKinnon’s silky jazz-schooled timbre, allied to Guthro’s R&B influenced natural tendencies and Stone’s acoustic troubadour, the space in between the three is delightfully warm and resonant, yet entirely coherent across the course of their self-titled debut album, due for imminent release on March 9th.